On Friday morning the Large Hadron Collider, the biggest physics experiment in the whole wide world, cranked up the volume and created two beams of protons with an energy of 3.5 trillion Volts (3.5 TeV). Prof. Cox: Oh, I see. And most particle accelerators go up to 99.995% of the speed of light? Prof. Cox: Does that mean it's faster? Is it any faster? Prof. Tufnel: Well, it's 0.0049991% faster, isn't it? It's not 99.995%. You see, most particle accelerators, you know, will be firing particles at 99.995% of the speed of light. You're on 99.995% here, all the way up, all the way up, all the way up, you're on 99.995 on your accelerator. Where can you go from there? Where? Prof. Cox: I don't know. Prof. Tufnel: Nowhere. Exactly. What we do is, if we need that extra push over the cliff, you know what we do? Prof. Cox: Put it up to 99.9999991% of the speed of light. Prof. Tufnel: 99.9999991%. Exactly. 0.0049991% faster. 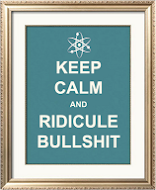 Prof. Cox: Why don't you just make it accelerate the particles to the speed of light? Prof. Tufnel: [pause] The LHC goes to 99.9999991%. Prof. Tufnel: Authorities said... best leave it... unsolved. I couldn't laughed harder, I wonder if the LHC goes 99,99991% because it hasn't been cleaned up since the French toast incident. This is only funny if you know very little about relativity. Objects with a non-zero rest mass (ie most things apart from light) can't travel at the speed of light, they can only approach it. As they get close to the speed of light, they get a lot heavier, or equivalently via E=mc2, they get get a lot more energetic. In principle, such an object travelling at the speed of light, they would have infinite energy, so that's why they never get there. So to move from high energy particles, to higher still energy particles, you go from close to the speed of light to closer still to the speed of light. To say that the difference between 99.995% of the speed of light and 99.9999991% is 0.0049991% is a meaning-free way of looking at the difference. It is actually a very large difference in energy. The point is that one is 0.005% short of the speed of light and the other is 0.0000009% short of the speed of light. That is a difference of several orders of magnitude, and that is a meaningful difference. 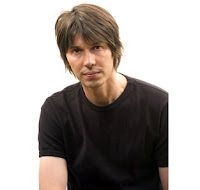 Where on earth did you find an image of Prof Cox NOT grinning like a schoolboy who has a huge spider in a matchbox?